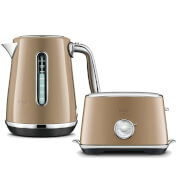 The Soft Top Luxe 1.7L Kettle is the latest premium kettle in Heston Blumenthal’s range for Sage Appliances. 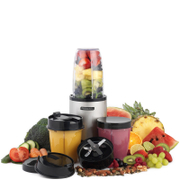 The stunning stainless steel kettle features a soft open lid for smooth and easy filling without splashing, a dual water level indicator window and an ergonomic, tactile handle adds a stylish accent. 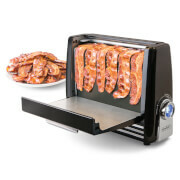 Safety features include an automatic shut off and boil dry protection. With a generous 1.7L capacity, the powerful, quick boil kettle has been designed to match the Heston Blumenthal Toast Select Luxe range.